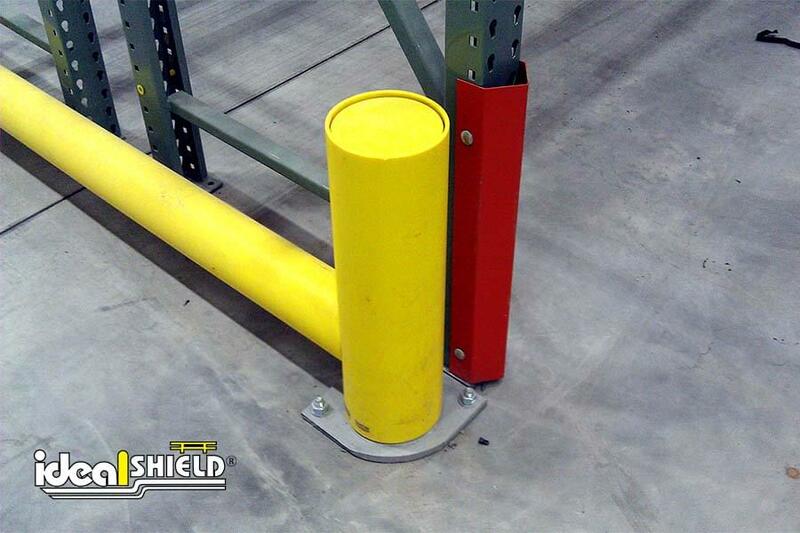 Protecting pallet racks in high forklift traffic areas can be tricky. 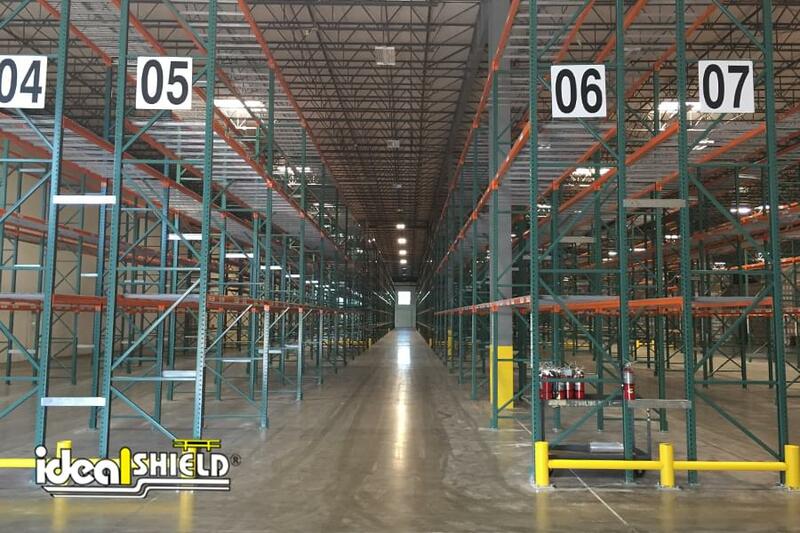 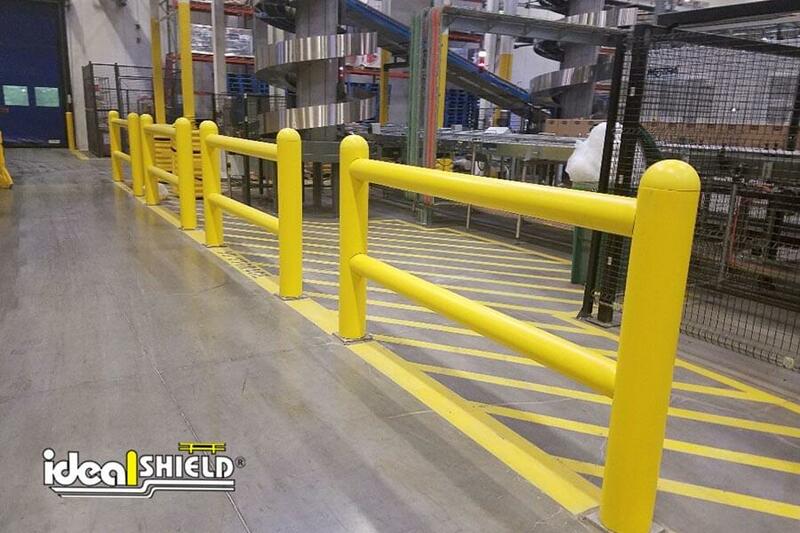 Ideal Shield Rack System Guardrail is designed with strength in mind. 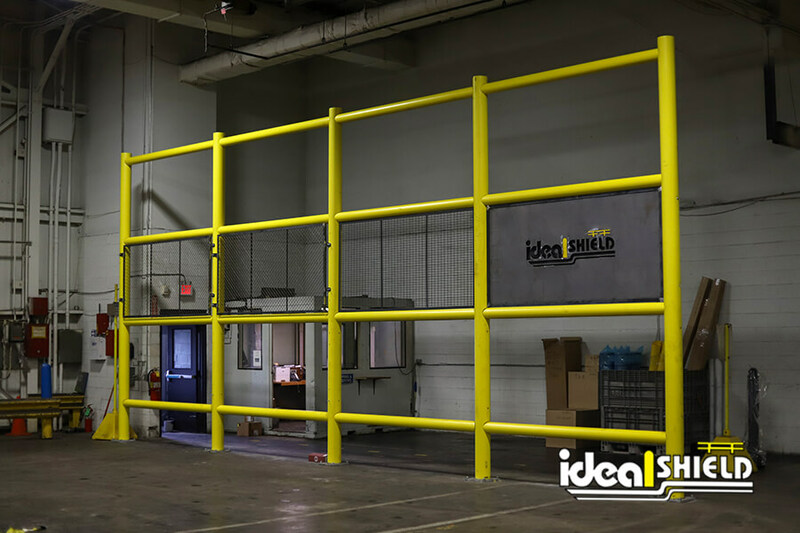 Perfect for protecting the ends of racks and walls from damage, rack guards can be customized to fit individual facility needs. 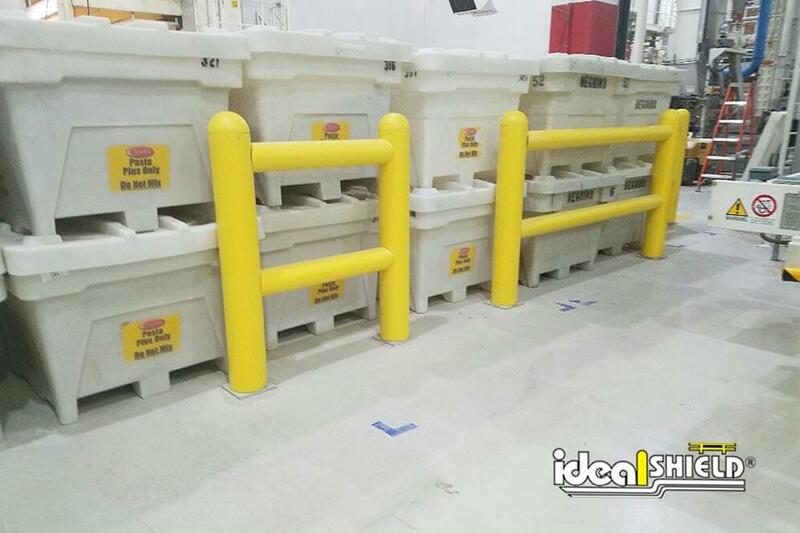 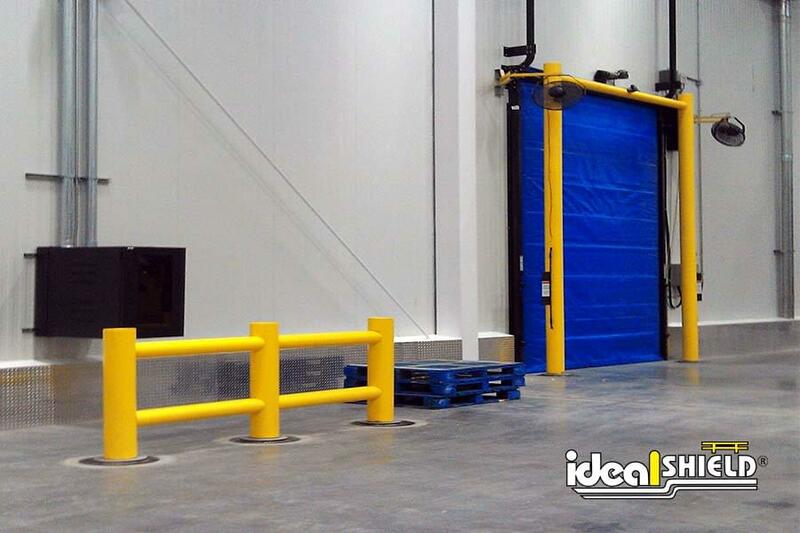 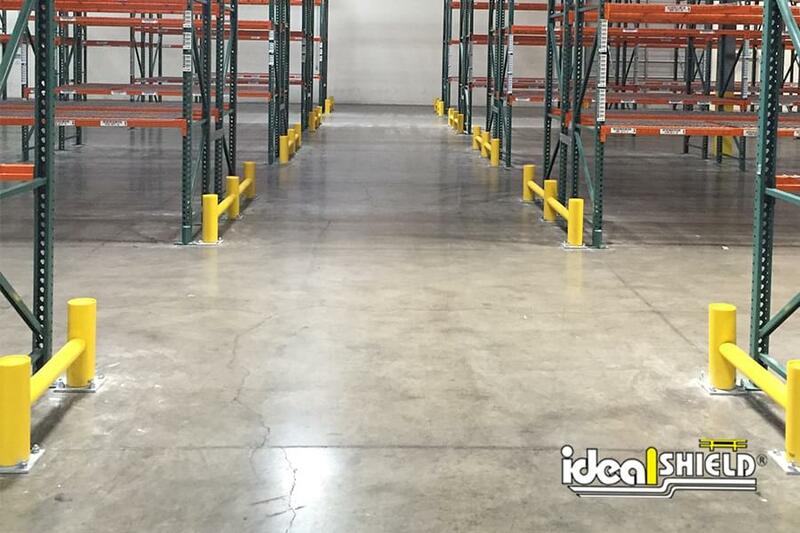 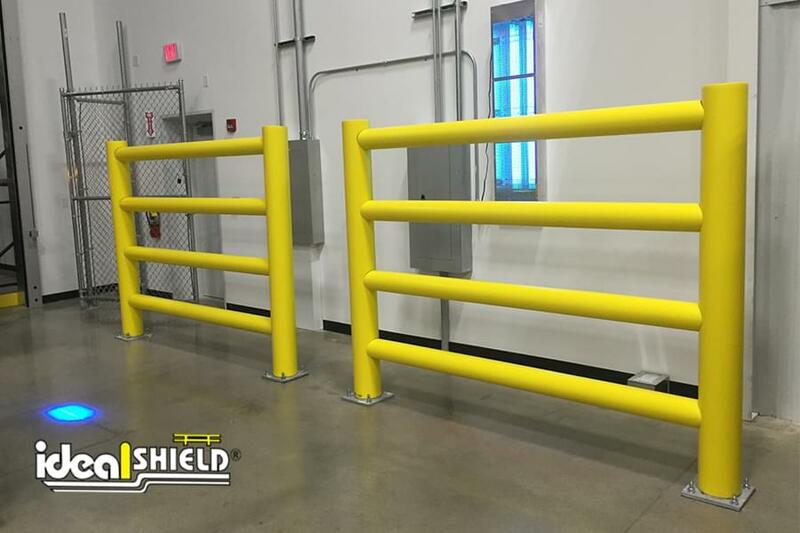 This low maintenance guardrail system is designed to be strong enough to withstand multiple impacts from forklifts. 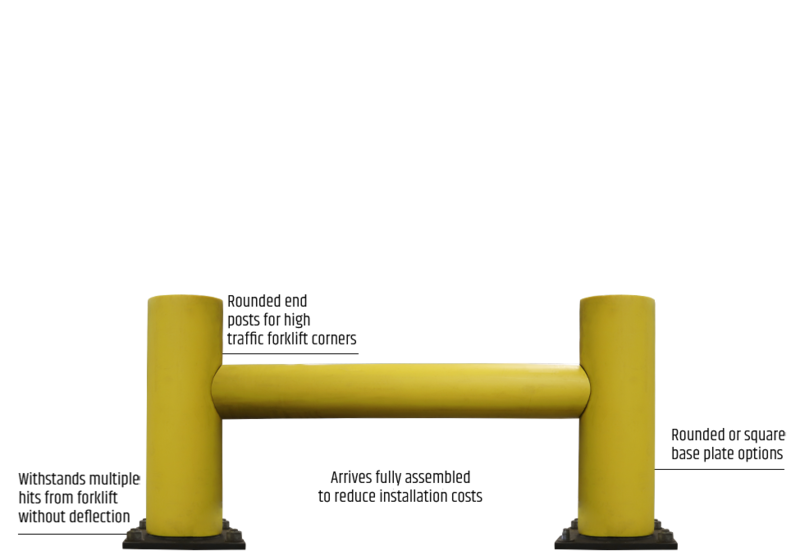 It’s available in either one-line or two-line systems, is made from schedule 40 and schedule 80 steel pipe and sleeved in HDPE plastic, which means it will never need to be painted. 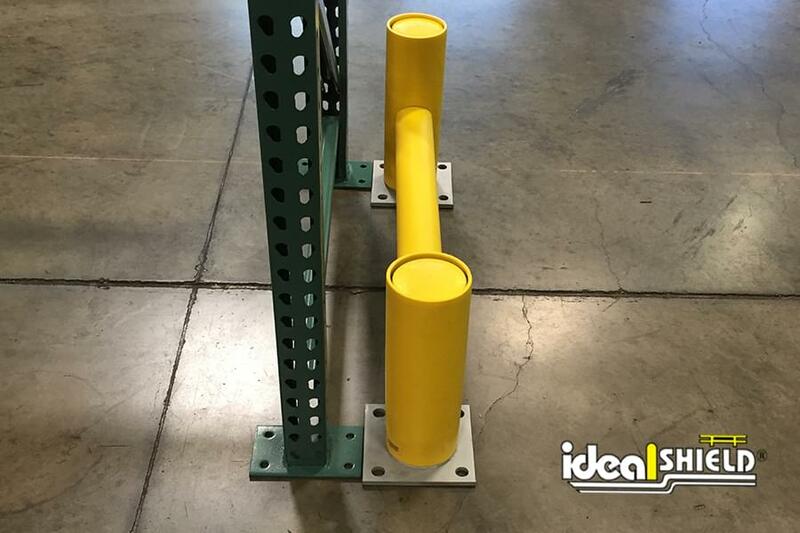 Standard heights include 24″, 36″ and 42″ while the standard lengths included 48″, 72″ and 96″. 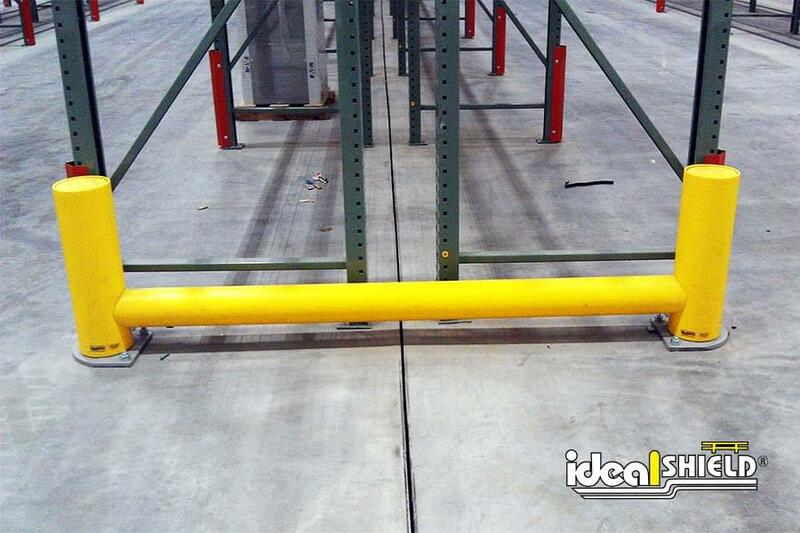 For installation, Core-In or Rounded Base Plates are available.